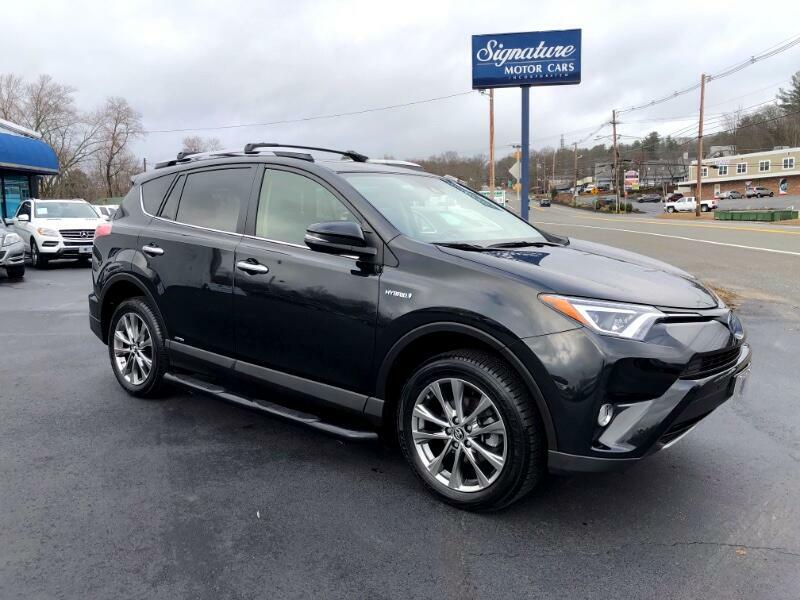 Used 2017 Toyota RAV4 Hybrid Limited for Sale in Topsfield MA 01983 Signature Motor Cars, Inc.
2017 Toyota Rav-4 Limited Hybrid , Black Sand Pearl With Black Leather ,AWD , Factory Warranty In Place, 15,000 Miles, One Owner , Perfect Carfax, No Accidents Or Paint Work, Heated Seats, Navigation, Blind Spot Assist, Lane Tracking, Back Up Camera, Pre Collision Detection, Auto High Beams, All Wheel Drive, Side Steps, Remote Start, Dual Zone Climate Control, Led Head Lights & Tailights, Premium Audio, Satellite Radio, Front & Rear Parking Sensors, Smart Key System With Push Button Start, Much More To List Please Come By To Take A Look AT A Great Value !!!!!!!! We Only Purchase The Very Best Vehicles On The Market Period. Signature Motor Cars, Inc Is Celebrating Its Thirty Five Years In Business. Owned And Operated By Brian Gideon. All Vehicles Have Perfect Carfax History Reports. Please Feel Free To Ask Us For Your Free One. We Specialize In Almost New One Owner Vehicles. Most Of Our Vehicle Are Between One and Three Years Old All with Factory Warranties And Extremely Low Mileage. Please Read Our Great Reviews On Cars.Com. We Are Located At 230 Boston St. Topsfield, MA 01983 just Northeast of Boston, and are available by phone at 978-887-3200. You will see detailed information about each vehicle and a picture gallery, when you visit our virtual showroom at www.signaturemotorcars.com as well as convenient ways to contact us for more information about that vehicle. Message: Thought you might be interested in this 2017 Toyota RAV4 Hybrid.